After my snowy venture into the Călimani during the first weekend of October I returned during the second half of the same month. I walked back up the red cross from Gura Haitii to Poiana Izvoarelui and saw a rare cocoș de munte (western capercaillie) on the way. My goal was to complete the circuit of the Călimani as I had planned to do earlier, so I continued towards the famed Twelve Apostles reserve. One of my favourite ways to start a hike is when I can walk out of a town and straight into the mountains. 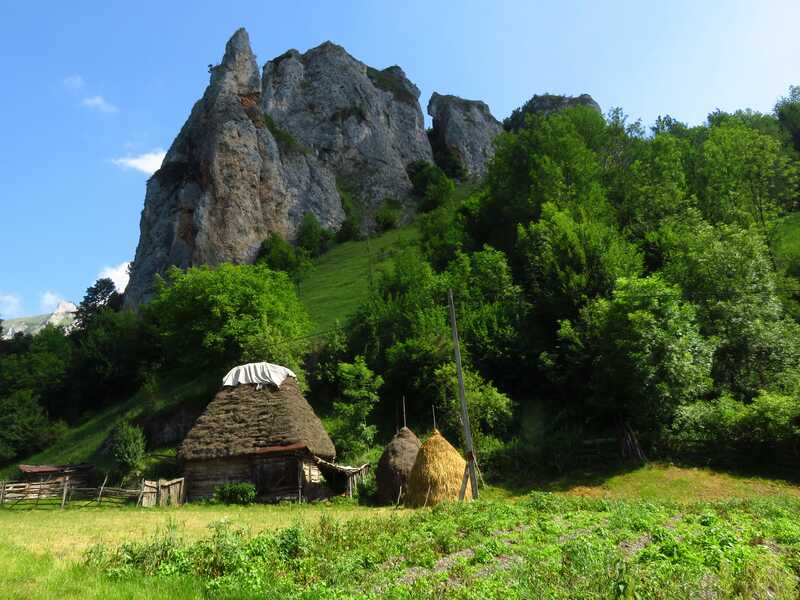 One perfect base to do this from is the charming town of Vatra Dornei, in the northeast of Romania. I used to be a little scared of the northeast. It is arguably the remotest corner of the country and I’ve had some negative experiences there in the past. Most recently the dog bite, and in the more distant past I thought I wanted to buy a campsite in this area. It didn’t feel right, it wasn’t a good plan and I ran away screaming. Ever since I get a little mental shudder when I think of the northeast. But not any longer: I’ve discovered the northeast is perfectly friendly and perfectly gorgeous. 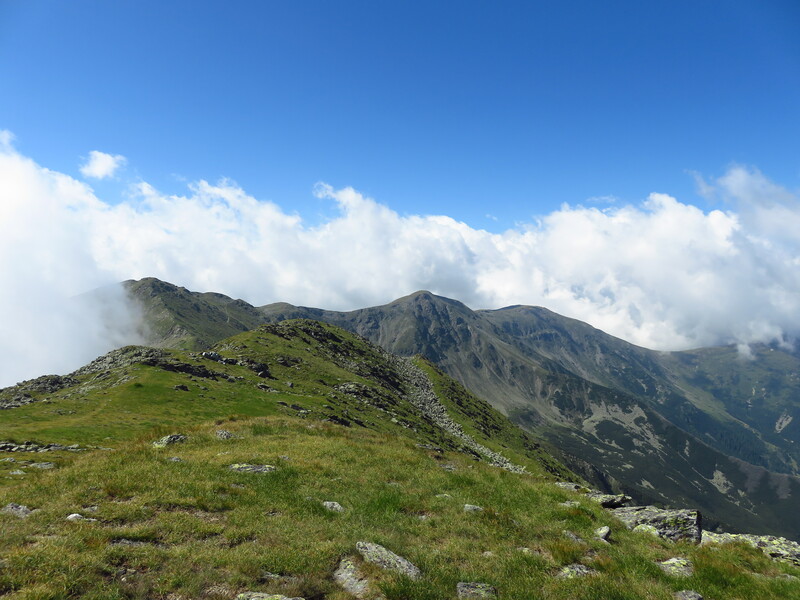 Just a few days after I had come back from my hike across the main ridge of the Făgăraș, I went back: I wasn’t quite done with these mountains yet. 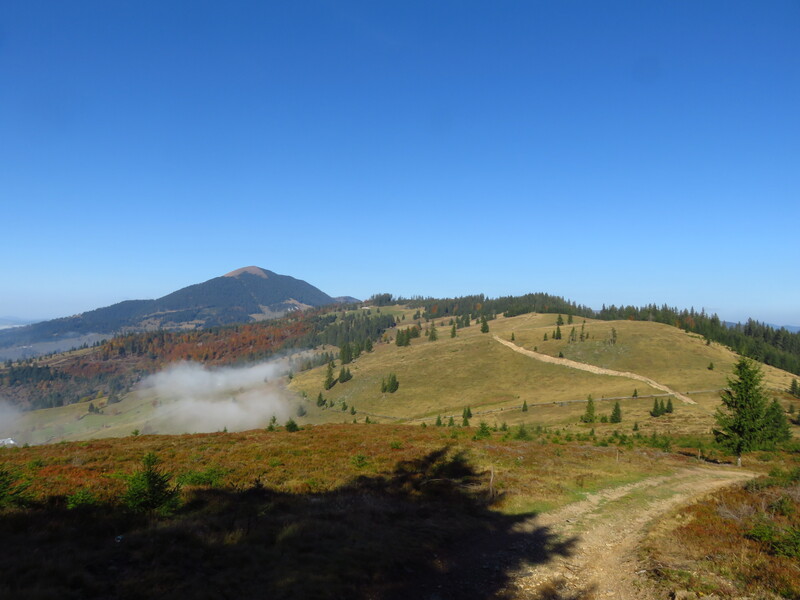 During an earlier hike into the Iezer-Păpușa, I had planned to cross over into the Făgăraș via a connecting spur, but was prevented by the weather. 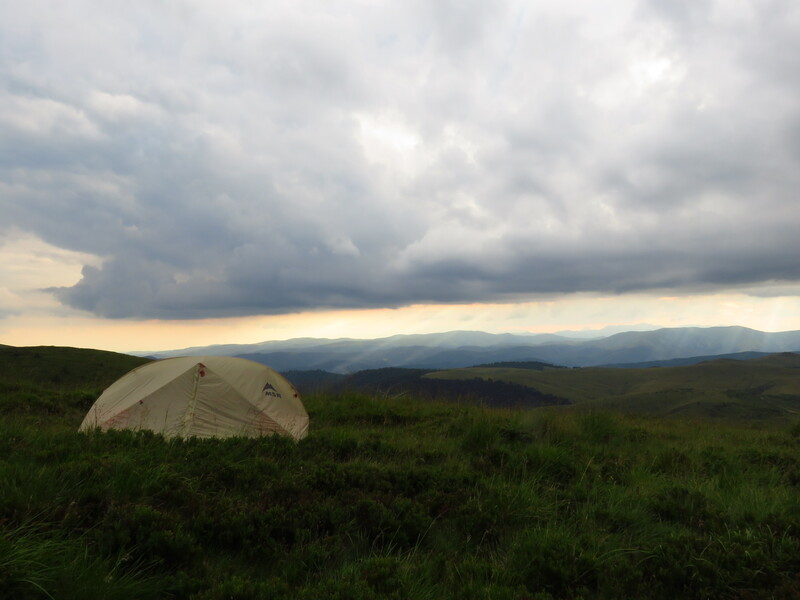 This time round the forecast didn’t look too favourable either; 5-10mm of rain or more was predicted for every afternoon, so I resolved to go on short hikes and pitch my tent before the rain. But I was fortunate: I was much faster than expected (I suppose I’m getting the hang of this hiking thing) and there was less rain than predicted. 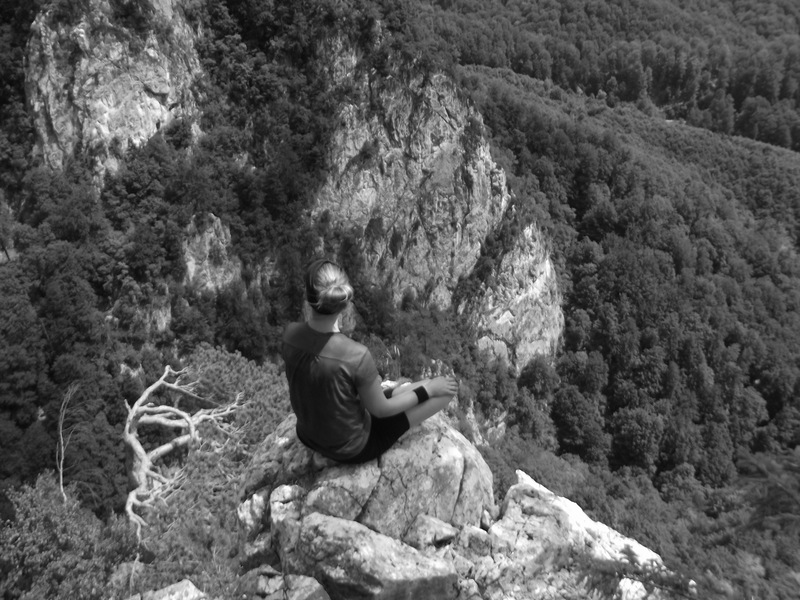 I intended to write a reflective post after my first month in Romania, but then all of a sudden two months had passed – and then three. This doesn’t mean time flew – it didn’t exactly. Last year’s start was tough – this one was tougher. When I look at my walks list I am not impressed – I only managed one three-day hike in June, for instance. In terms of kilometres it looks a little better – I did about 240km which is almost half of what I did in total last year and the year before – so it looks like I’m getting somewhere. Although that said, I have no idea how many kilometres I have ahead of me. I can only hope that I’m about half way, since in another three months winter will force me out of the country. 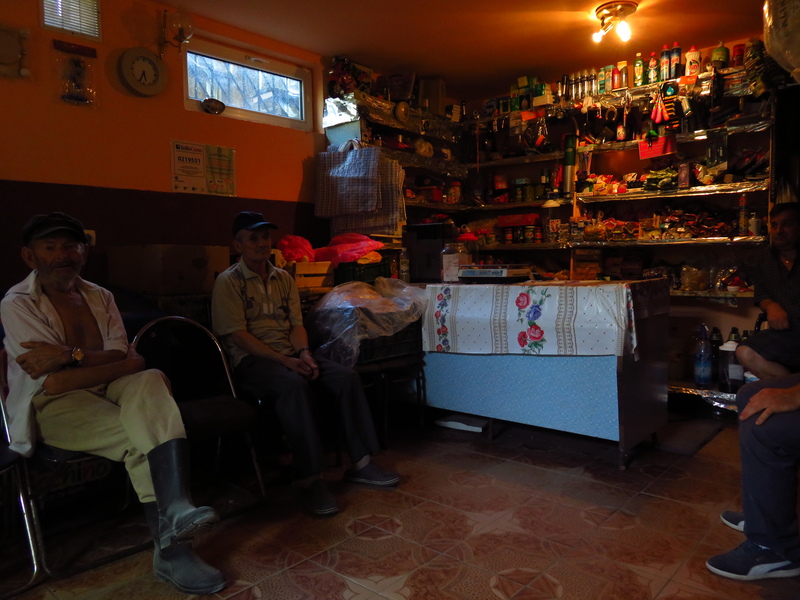 After my hike in the Iezer-Păpușa was cut short by the rain I planned to return there, but the rain wouldn’t stop so I started looking around for alternatives – and settled for a hike in the Cozia and Buila-Vânturarița, after lengthy consultations with the 500th liker of my facebook page. So after two and a half months in and around Brașov I set off for Cârța, a lovely little village in between Brașov and Sibiu at the foot of the imposing Făgăraș mountains. Actually my host, Sorin, drove me there – he happened to have an appointment in Aiud that same day and Cârța was pretty much en route. So that saved me a lot of dragging and sweating. 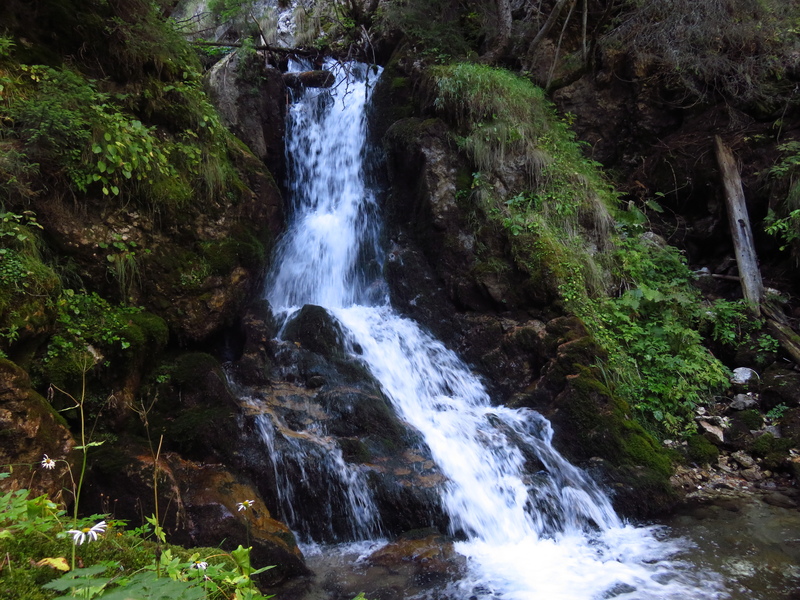 I just came back from a wonderful two-day circular hike in the Iezer-Păpușa Mountains. After even more torrential rain which flooded half the country and even brought down a railway bridge (wettest June in 40 years), I set off towards this beautiful cousin of the Făgăraș, the longest of all mountain ranges in Romania. 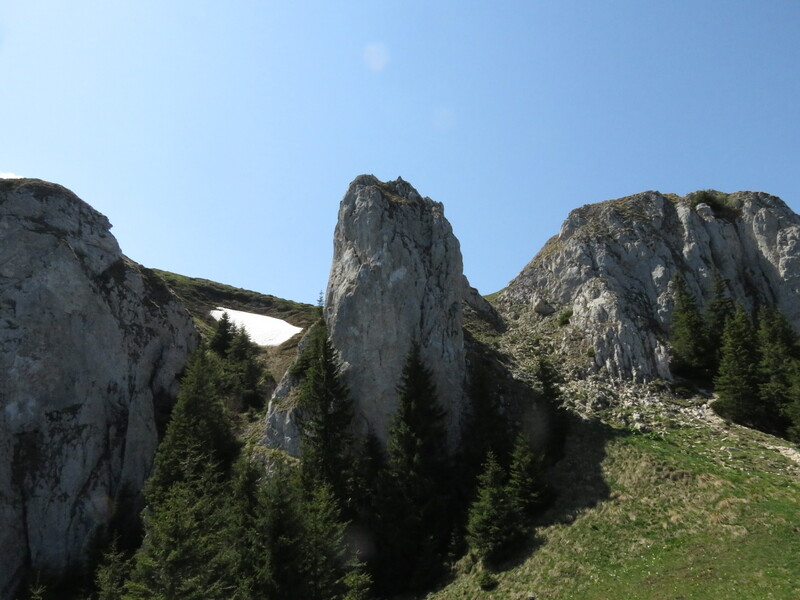 It lies tucked away to the southeast of it, and west of the Piatra Craiului. I took a bus to the town of Câmpulung Muscel from Brașov over the Rucar-Bran Pass, which took me through the beautiful Țara Branului – the land of Bran. 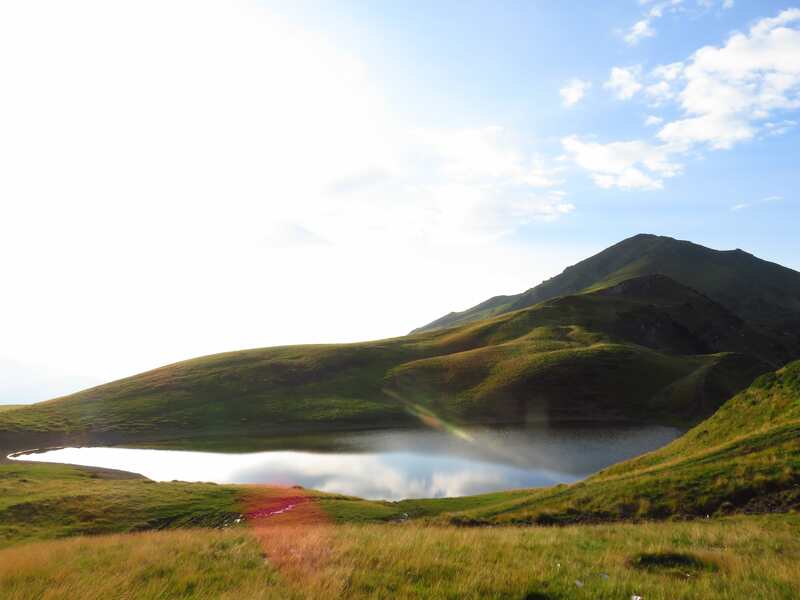 It was by no means a comfortable journey, but it was worth it for the views alone – the rolling hills around Bran, the Bucegi to the east and the Piatra Craiului to the west. This week I finally got to go on my first full-pack hike, after three frustrating weeks of waiting for the weather to clear up. There were thunderstorms and torrential rains almost every day, and I just couldn’t find a big enough gap to go hiking without risking getting absolutely drenched. Now I don’t mind a little rain – it’s part of the adventure – but I know three days of rain would mean misery. So I was overjoyed when the weather forecasts (I check multiple sources) ‘promised’ three days of reasonably favourable weather from Sunday to Tuesday. So on Saturday I took the train to Predeal so that I would be able to start early Sunday morning. Well, my early – I left at 9am. The first hike of the season is under the belt! I am so glad I made it to the start. Of the third leg of this Roamaniac project, I mean. I was far from sure I was up to it. But, as another hiker wisely wrote, nothing gets you fit for hiking like hiking. For starters, I picked an entry-level hike – and although my body protested a bit during the climb through the forest (and afterwards, i.e. now), it went well and I enjoyed it. 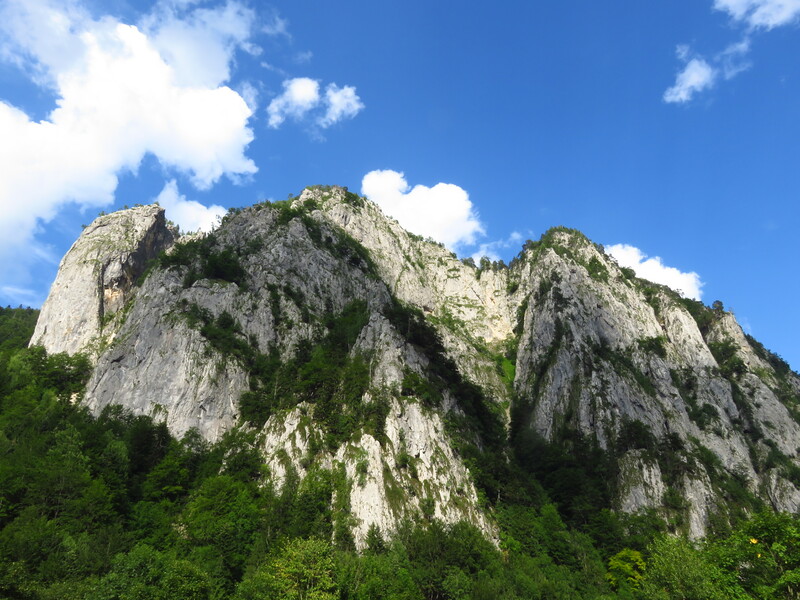 Here is a description of a hike through the fabulous Șapte Scări Gorge – Șapte Scări meaning Seven Ladders. 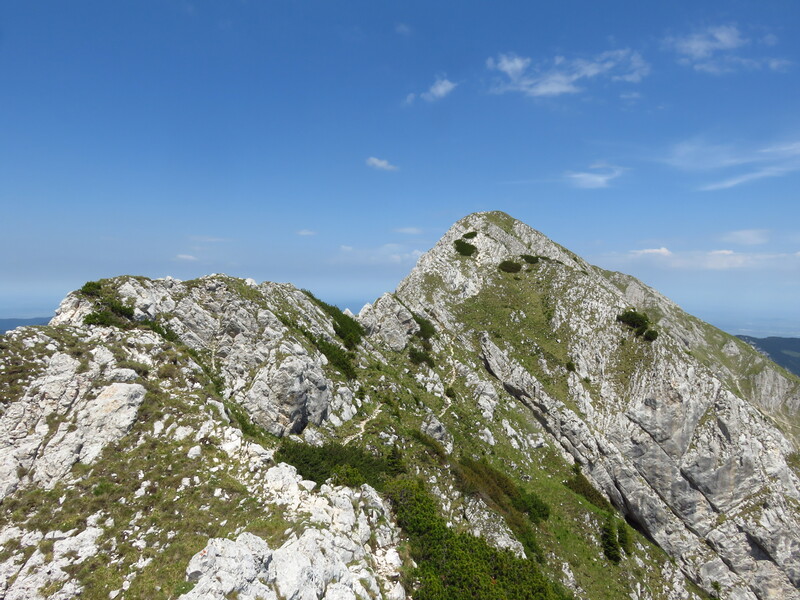 I combined it with a hike to Piatra Mare Peak and then walked back down an easy path. 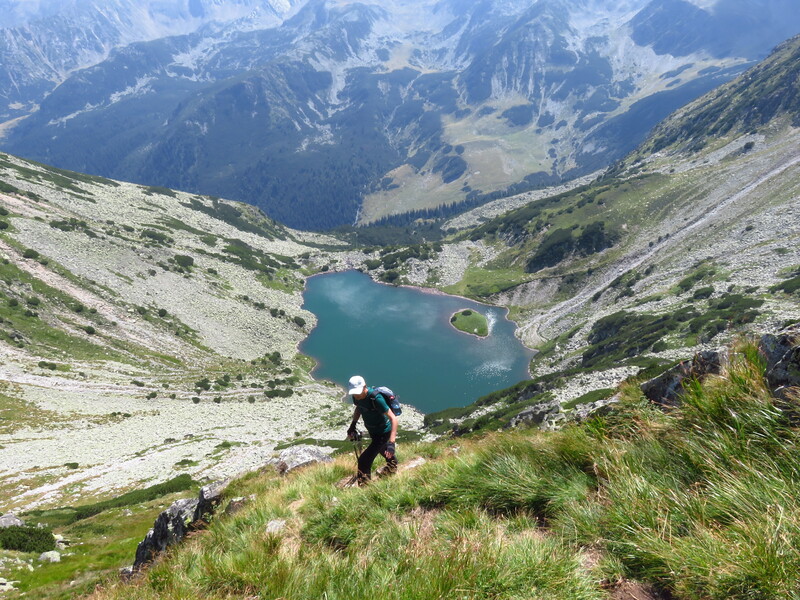 But the beauty of this hike is (amongst others) that it has something for everyone: you can keep it short by doing just the gorge part, make it longer by hiking up to Piatra Mare cabin or even longer by hiking up to Piatra Mare Peak. This is an old story – but one that needs to be told. I have so many of these – but they keep heaping up and then I end up focusing on the ‘more important’ posts about routes and the like. But I like stories. And telling them. 31st of July 2016, Poienile de sub Munte. I have just arrived in this hamlet in the Munții Maramureșului, the northermost mountain range in Romania that borders on the Ukraine. 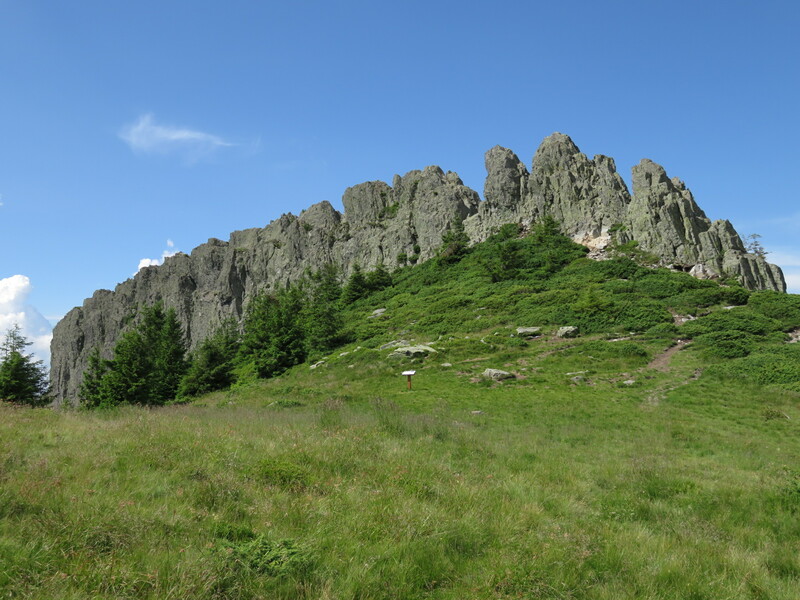 I managed to sprain my ankle – badly – in the last 500 metres of my hike from Lacul Vinderel. I have pitched my tent near an abandoned and derelict cabana. Now I need a drink. 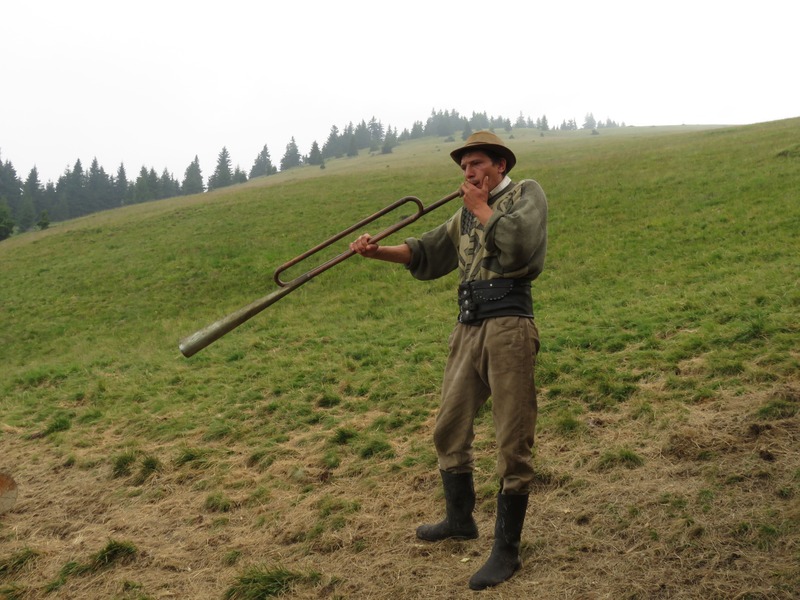 I’ve written about the Apuseni before, but I promised to write more – and there is lots more. I haven’t been able to explore everything but there is one route that stays with me: the fabulous hike through the Galbena Gorge. 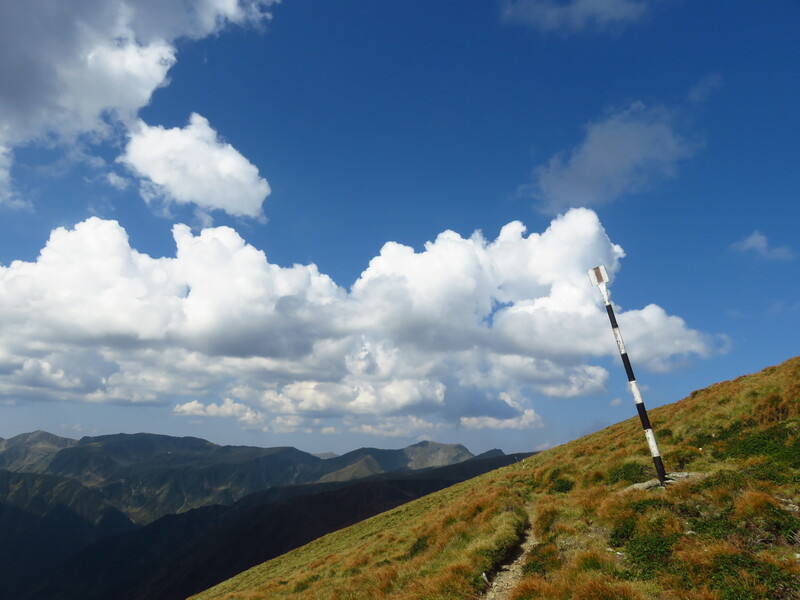 The Apuseni generally makes for gentle walking, but this circular route is a good deal more challenging than most. 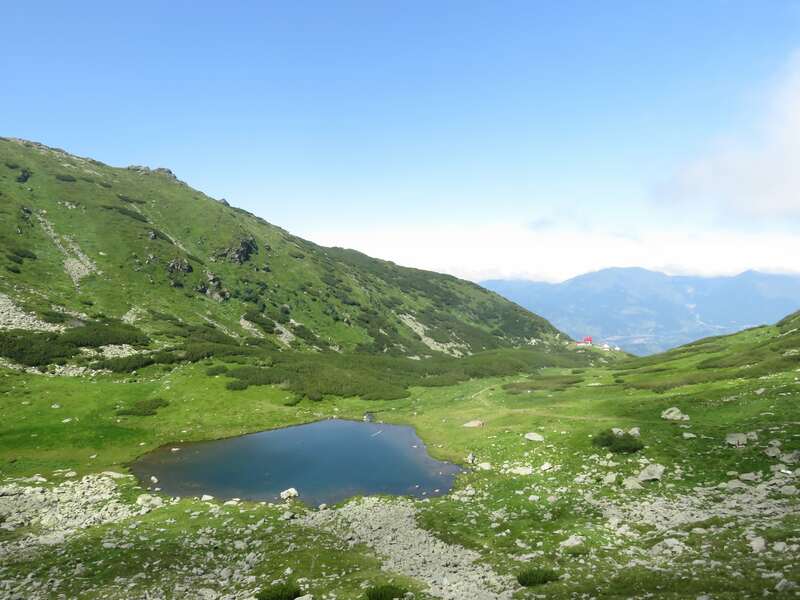 So if you want to combine some easy hiking through the hills of the Apuseni with some clambering, this one is for you. Shepherds are awesome people. I have met quite a few of them by now and I continue to be amazed. Their lives are tough: they live outdoors throughout the summer season, come rain or shine; they walk many kilometres each day, make cheese, carry sick sheep, and have to fend off bears. Only yesterday I met a shepherd who recounted that last Sunday, two bears killed four of their sheep. And last night we heard gunshots coming from the stâna next to our lodgings – to scare away another bear. Apparently in autumn bears come down into the village to eat apples and plums – to do so they tear down an entire apple tree and then start eating. 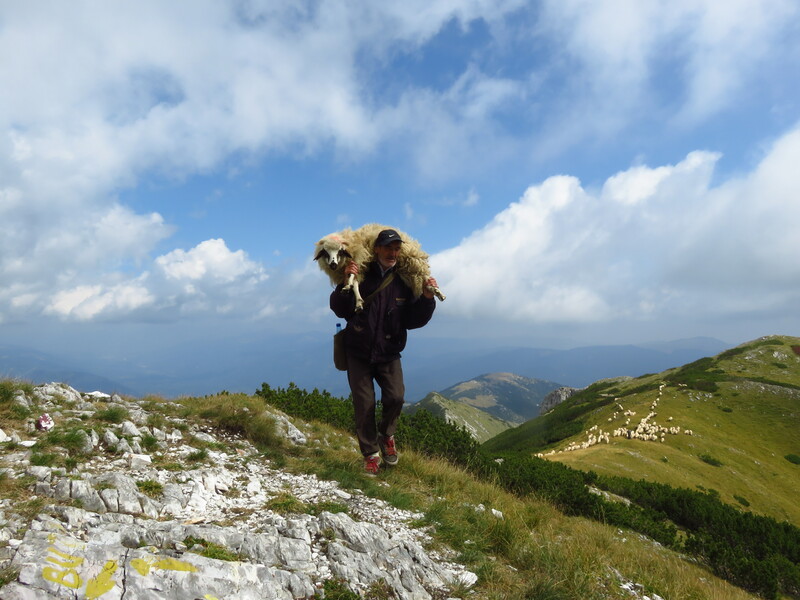 Enough about bears – here is a short impression of a shepherd in the Retezat Mountains, and a small collection of pictures of various shepherds I’ve met. 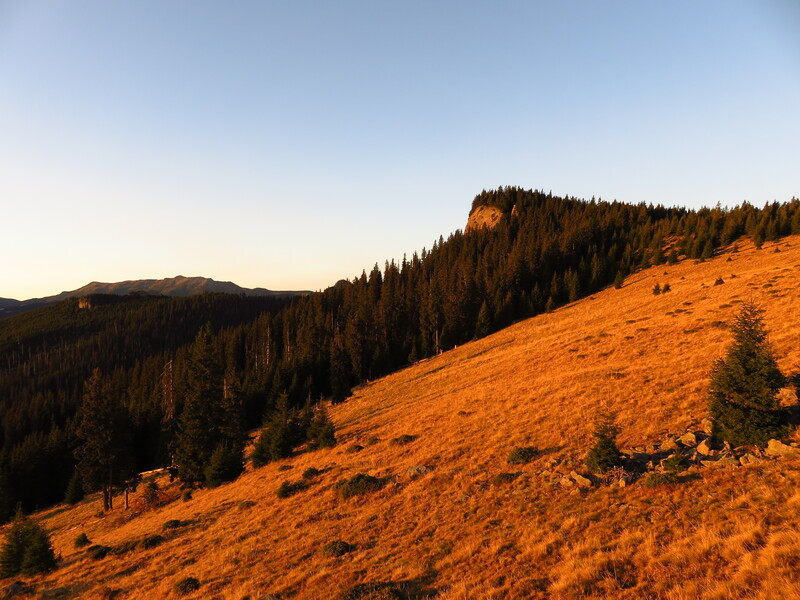 Let’s just be clear: the Retezat Mountains should be on top of your list if you want to explore the Romanian Carpathians. Many Romanians will agree with me that it is among the most beautiful mountain ranges in Romania, if not the single most beautiful. 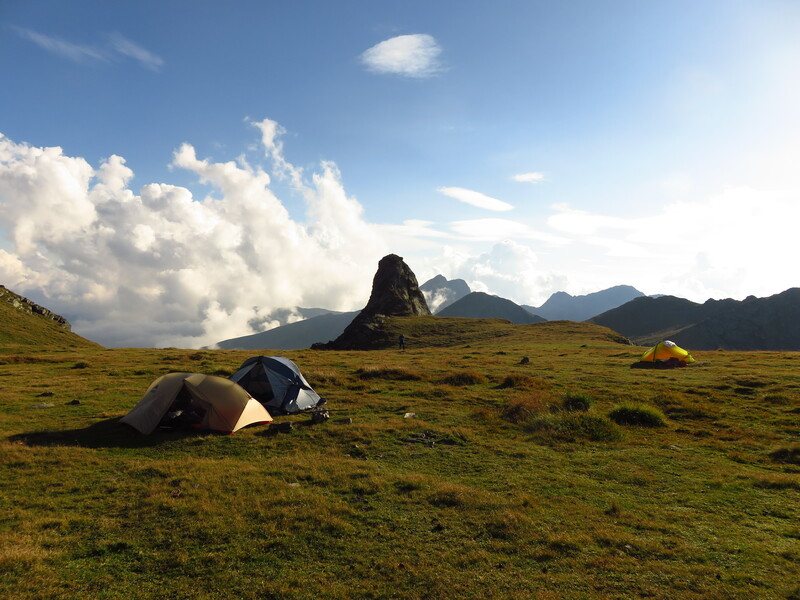 I can sum up the facts – like there are over 20 peaks over 2,000 metres, some eighty lakes that gleam like blue eyes – there are bears and marmots and chamois, ancient beech forests and rugged ridges, scrambling sections and lovely meadows. But you should really just go and immerse yourself. One of the hikes that I’ve most enjoyed so far led through Râmet Gorge, or Cheile Râmetului in Romanian. 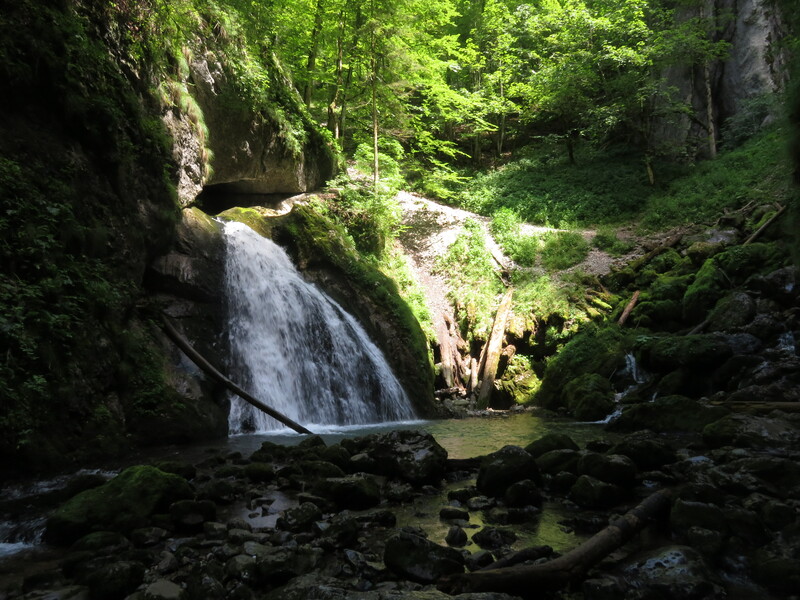 It is perhaps the most spectacular hike in the Trascău Mountains: walking this trail means actually having to wade through the river that streams through the gorge, for a distance of about two kilometres. The water streams pretty fast and can reach as high as your chest in some places – although in those cases you can always rely on cables and footholds in the wall of the gorge. This hike is absolutely delightful on a hot day and the scenery is stunning. If this sounds like fun, read on and find out more. I’m supposed to be writing about the mountains mostly, but I just noticed none of my last three posts deal with the mountains in any major way. 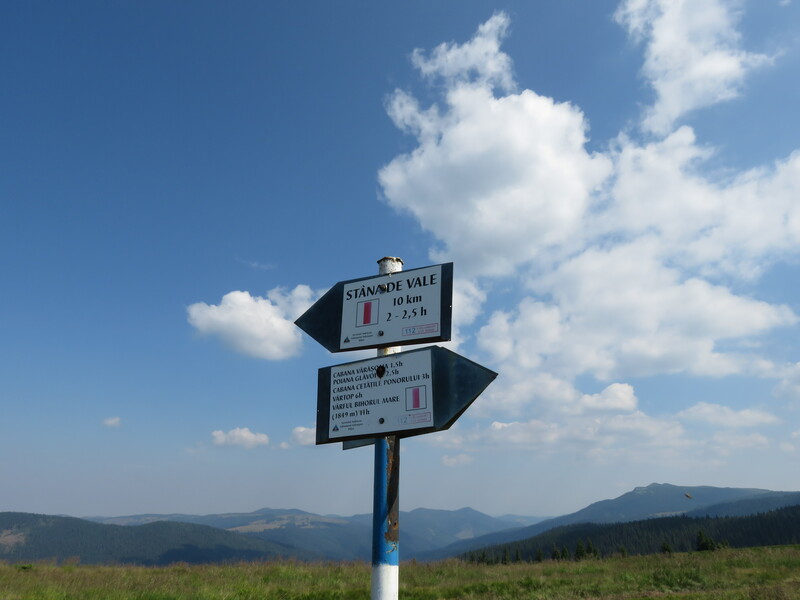 Time for an itinerary again – through the Apuseni Mountains this time. Not the highest of mountains, but certainly not the least among them in terms of beauty and surprises. I’d been wanting to visit them for a long time – and I finally got to explore them in July. And I was pleased with what I found. Here is an itinerary through the delightful Padiş region. It’s about time I tried to lure you into visiting Romania again. For reasons outlined in my previous post, I haven’t been able to put much effort into writing lately. My silence definitely doesn’t mean I’ve run out of enthusiasm or destinations – far from it! 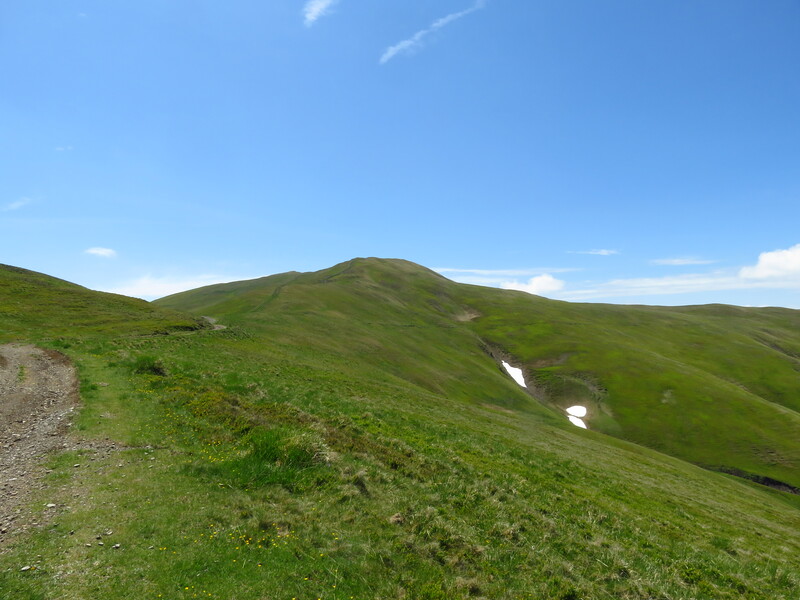 So here, finally, is an itinerary again – through the Bucegi Mountains this time. 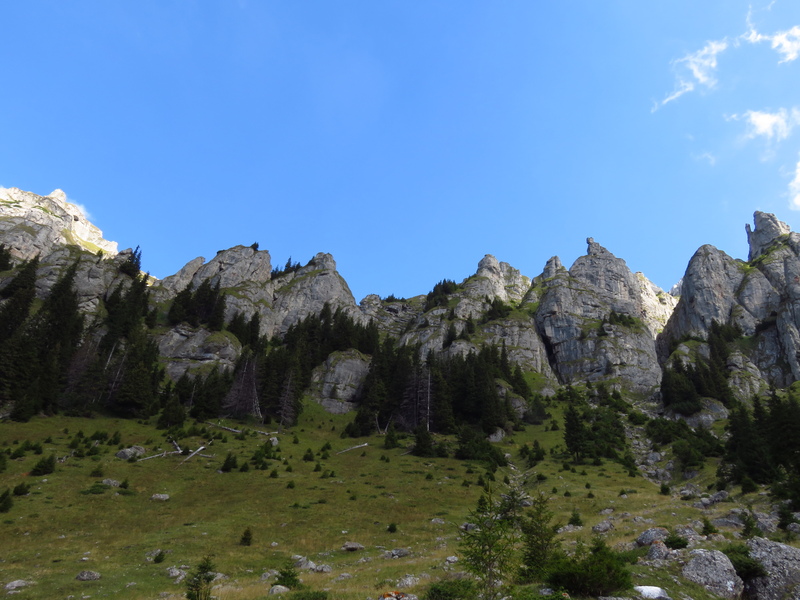 If you’re still contemplating where to go this summer and would love to tackle some mountains, I hope with this post I can tempt you to honour the beautiful Bucegi with a visit. Never miss a thing! Enter your email address to subscribe to this blog and receive notifications of new posts by email.  Copyright 2018 Roamaniac and Rescue Themes. All Rights Reserved.